As practice owners, we should always have clearly defined goals, mission statements and business/practice visions, and the associated business planning required to achieve these. Yet despite the implementation of the aforementioned criteria, a large percentage of practices still struggle to achieve anything near what they set out to do, especially when attempting to expand the business or to replicate the business model multiple times. A close inspection of 70 private practices over the last 12 months revealed why this occurs; the reasons were astounding and staring us right in the face. Physiotherapy practice owners working as sole traders with zero to minimal staff do not have as much difficulty achieving their financial goals as those physiotherapists running larger or multiple practices with large numbers of staff. It stands to reason that once you have achieved your goals on a smaller scale that you will replicate the same successful platform again to expand so that you can service the community on a larger scale and increase revenue and financial gains. However, the problem that many physiotherapy business/practice owners find is that as they expand and replicate, often the level of profit extracted is actually less than what it was when they were smaller in size or even operating as sole traders! The most obvious place to assume that these businesses are falling down is in the lack of systems and implementation thereof, but closer inspection often finds that the systems, planning, structure and strategies of these businesses are completely sound. Where, then, does the problem lie? The simple answer is in the one area that is usually neglected: leadership! Let us look at defining leadership. Stephen Covey, author of The 8th habit, writes, ‘Leadership at its most elemental form is communicating to people their worth and potential so clearly that they come to see it in themselves.’ If we look at leadership based on this definition, then it is easy to see that many business owners fall way short of being a leader and, rather, wear a larger managerial hat. We need to follow the above definition of leadership, and to inspire and motivate rather than focusing on micromanaging, which does nothing to improve performance. Staff cannot be treated like things to be controlled, managed and ‘carrot and sticked’ in order to motivate them. It is 2010: we are in an age of information and knowledge. The best results come from staff members who are respected for being a whole person in a whole job, and who are given the opportunities to serve their human needs in principled ways. This helps to achieve cheerful cooperation, heartfelt commitment and creative excitement. You need to have confidence in your staff, and to tell them that you do. You need to give them ownership and hence the ability to demonstrate creative excitement, commitment and leadership towards a common goal. Entrusting someone with responsibility stretches them to unlock their untapped potential. A business comprises individuals who have a relationship with the business, and a shared purpose to work towards the business’ mission statement and to uphold its values. It is essential to have good leadership so that individuals identify with the business and realise their potential within the business to reach its greater goals. When focusing on leadership it is critical not to neglect management (although as already stated, it is usually the former that is neglected). Leadership and management are two different things that need to be in perfect symmetry: leadership focuses on developing a vision/goal; management is about the processes and control of bringing that vision into practice. Once the vision is created, it needs to be followed through, and management enables this. Management without leadership is insufficient. Most businesses are over-managed and under-led, the ‘control freak’ scenario where no one is inspired to reach their potential and hence that of the business. Everyone is aware of businesses like this, where the owner has a clearly set outline of his/her vision and then implements strict (often robotic) management strategies to ensure that the systems are adhered to, without involving the goals or visions of the staff. Some practices go to the next level, to the basic management approach, and offer incentives based on performance. Although elements of this can be effective for a business, it is simply a ‘carrot and stick’ approach: it improves staff and business performance for brief periods only and enrols staff to pursue a vision that is not necessarily theirs. Therefore it relies on financial reimbursement, which is not necessarily appealing to all employees. 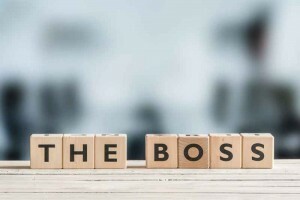 There is a direct connection between the controlling ‘thing’ paradigm that dominates the workplace and the inability of managers and owners to inspire their people to volunteer their highest talents and contributions. The reason that most businesses struggle with staffing issues is that they do not acknowledge that staff members have a choice. Employees decide how much of themselves they will give to their workplace depending on how they are treated and on the opportunities presented to use all of their natural talent. The need to have better leadership in business (and life) has forced us to look for different strategies, and one such strategy that is working well in physiotherapy practices in Australia is what is referred to as the third alternative (well documented and taught by Stephen Covey, author of The 7 habits of highly effective people). The third or ‘higher’ alternative allows creativity for all people. It involves discussing objectives and outcomes and the method of how to arrive at this. The higher alternative is avoiding compromise and getting the most out of your team in order to arrive at a better outcome than initially intended. When multiple people are involved in decision-making (as in a physiotherapy practice), most often everyone is seeking a different outcome. The old approach would be to arrive at a compromised goal, somewhere in the middle of what everyone wants, achieving nothing that anyone specifically wants. The higher alternative involves finding a better solution for everyone, where each person gets more out of it than they originally thought possible. This may seem too good to be true but the reality is that it does not happen much in practice because no one is seeking this option; or even if they are, they are not employing strategies to enable it to happen.